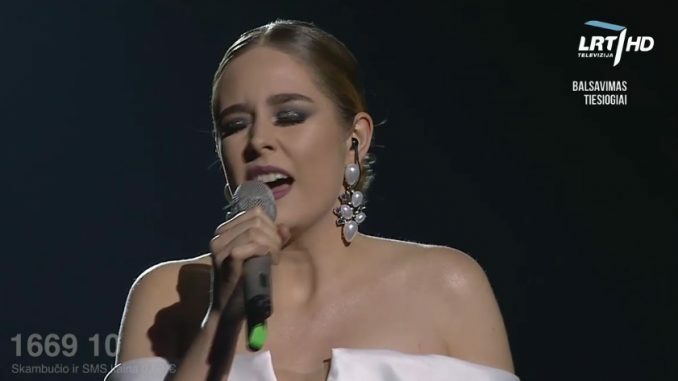 Monika Marija has reached the final of Eurovizijos Atranka in Lithuania with her song ‘Light On’. Next week in the second semi final, the former winner of The Voice has the chance to also qualify with another song, called ‘Criminal’. The first semi final of Eurovizijos took place today in Lithuania. While Emilija Gogolyté was one of the clear public favorites, the only received one point from the jury. Monika Marija received the douze points from the jury and the public. The other finalists in Lithuania are Henry & Tommy Modric, Justina Budaitė-Junà and Jurgis Brūzga.